In the latest edition of the Spectrum journal, linguistics professor Terese Thonus writes a personal article called "Guns in Church: No Sanctuary" about her fear of guns in churches and her campaign to convince her local Adventist church to adopt a policy about firearms. In this interview, she talks about the background of her fear and why she decided to move her family from Kansas to Maryland. If you haven't yet read the article, maybe this Q&A will encourage you to pick up the paper journal. If you are not a Spectrum subscriber, you are missing out, not only on the thought-provoking piece from Terese Thonus but also on 80 pages of reporting and essays, art, and poetry on topics from hermeneutics to young millenial Adventist beliefs to women's ordination. Click on the "Journal" tab above, and "Subscribe here." Question: You have been concerned about our church's policy, or lack thereof, about guns in church. What can you tell us about your situation in Kansas where you lived until recently? As state employees, we would be submitted to a gag rule: I could be arrested, for example, for inquiring whether someone was carrying before gaining access to my office since that would be a violation of his/her Second Amendment rights. I realized that it would be difficult for me to protect my students and employees, and to protect myself, if someone wanted to discharge a weapon. This caused me a great deal of anxiety, especially after I engaged in two active-shooter trainings conducted by our campus police department. 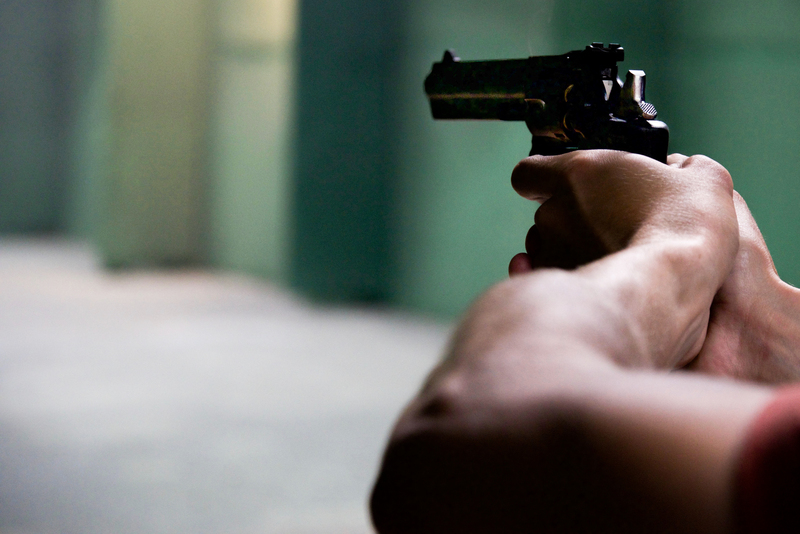 Out in public, I gradually became aware of how many people around me were carrying firearms. For example, one day in June 2017, I visited a Social Security office and was asked by uniformed security whether I was carrying a weapon, and my purse was searched. During my 45-minute wait for an appointment, the same officer asked four individuals who answered "yes" to his question to return to their vehicles and stow their guns. Two of these individuals engaged in arguments with the officer about their Second Amendment rights and had to be informed that they were now on federal, not state property. I am naive enough to expect that the churches I attend, especially Adventist churches, are places of refuge and safety, and I very much believe that the church sanctuary should be "a house of prayer for all people." I am smart enough to know that my beliefs about guns are not shared by all Adventists and that some members of my congregation no doubt own firearms. When I realized that those same people might think it okay to bring those firearms into a sanctuary, I was shocked. Perhaps I shouldn't have been, but I was. I no longer felt safe. I believe that the best protection I can give my son is to urge him not to carry a weapon. As an adult living in Kansas, David may or may not be able to own a weapon in future, depending on enforcement of statutes regarding mental health status and background checks. He has received basic training in personal protection as a student of taekwondo. His limitations make it difficult for him to understand nuances, such as the difference between a police officer carrying a firearm on the job vs. carrying a firearm in church. Last summer you moved to Baltimore from Kansas, partly as a consequence of the law permitting the carrying of concealed weapons almost anywhere in Kansas. How have you found Baltimore to be different from Kansas and from your local church in Baltimore vs. in Kansas? The local church in Kansas decided that sticking our heads in the sand was the solution. In Baltimore in particular, gun violence is wrapped around narratives of police brutality and race. At the University of Baltimore, where I work, more than half of the students are underrepresented minorities, and we often discuss issues of gun safety and control. Black Seventh-day Adventist pastors I have talked to are very much against firearms in their churches, and the pastor of the multiracial church where I currently attend is very much against them. I don't know whether the congregation would back a gun-free policy, and thus far, I'm keeping my opinions to myself, perhaps out of a false sense of security. And it is certainly false. Last week in Harford County, north of Baltimore, several pastors approached their representatives in the Maryland House of Delegates to push through legislation permitting church members to carry weapons — this on the heels of the Texas church shooting. You strongly encouraged your local pastor in Kansas to develop a policy on guns in the church and a plan in case of an active shooter. What response did you get? What response did you want? My Spectrum article “No Sanctuary" includes emails I exchanged with two local pastors. Neither of the pastors was willing to bring up the issue of guns in church board meetings or to engage their congregation in discussion and training around possible active shooter events. When the Kansas-Nebraska Conference informed pastors that they should neither encourage nor discourage guns in churches, my pastor asked that I drop the issue. He found it difficult to separate my position on noncombatancy from my position on carry of firearms in churches. These positions are related, but separate, and my focus was on safety. I could not (and cannot) understand. Do you feel that a church should be treated differently than other public places when it comes to carrying guns? While a church may be open to the public, a church is not a public space. It is privately owned and managed. Any private space can be declared by its owners and managers a gun-free zone. In some states, including Kansas, any public or private space is considered open to gun carry unless designated otherwise. It is my opinion that some public spaces, including schools and hospitals, should also be designated gun-free. The irony is that the lawmakers who proposed and passed permitless firearms carry in Kansas — including in public schools and mental health centers — did so ensconced in a gun-free zone: the State Capitol. You probably found yourself in disagreement with many of your neighbors in Kansas with your strong antipathy to guns. Why do you not own a gun? What is your philosophy on gun ownership? How is that philosophy informed by your religious beliefs? Jan Paulsen [former General Conference president] stated it best in a March 2008 Adventist World article: "When you carry arms you imply that you are prepared to use them to take another's life, and taking the life of one of God's children, even that of our 'enemy,' is inconsistent with what we know to be sacred and right" ("Clear Thinking About Military Service," p. 8). As an Adventist Christian, I believe that I should not carry a firearm, either for personal protection or as a member of the military. The release of Hacksaw Ridge was an excellent opportunity for the Adventist Church to address pacifism, noncombatancy, and gun violence. Instead, we focused on Desmond Doss's courage under fire and contribution to his country, all of which are noteworthy, but we completely missed the point. You describe yourself as becoming more fearful in recent years. Why is this? Have you been in a situation personally where you were afraid for your own safety? The poem in "No Sanctuary" refers to three experiences of violence in my life: personal assault (physical and sexual), consequences of war I've seen in refugees, and the shock of seeing firearms, both open and concealed, in churches. Do you feel that this issue is one that should be looked at higher up in church administration, at the union or division level, or is this an issue for the local church, dependent on local needs and culture? I think that local churches should be allowed to decide whether and how to create their sanctuaries as weapons-free zones. Absolutely, this is an issue that must be discussed "higher up" as well because of safety and liability issues. Adventist Risk Management insurance policies, for example, have a firearms use exclusion which means that an employee or volunteer "protecting" a congregation is personally liable in legal actions. How long have you been an Adventist? I have been a Christian since 16 and an Adventist since 18. I was baptized at the Beltsville Maryland Seventh-day Adventist Church. Having been raised Catholic, I was (and am) particularly interested in the church's teachings on health, the priesthood of all believers, and a historically broad interpretation of "Thou shalt not kill." Some of the strongest and gentlest Adventists I know are pacifists and noncombatants, including three Whitecoats. As possession and use of firearms is now being cast as a public health issue, I think the church in North America has the opportunity to combine teaching about our "health message" with teaching about "bearing arms." As a child, I lived in Latin America (Colombia, Aruba), Europe (Britain, the Netherlands), and Asia (Japan, Singapore). As an adult, I have lived throughout the United States (Alabama, California, Indiana, Kansas, Maryland, and North Carolina) in addition to Brazil and Thailand. What advice do you have for parents of teens who may be interested in guns? As an Adventist parent, I've tried to avoid "strain[ing] out gnats but swallow[ing] a camel" (Matthew 23:23). If our children have made a decision to follow Christ, I think it is important to share with them the multiplicity of views about the sixth commandment that exist in Christian and Adventist circles. Let them know that they can make the decision not to own guns or to use them for "self-protection." I use the negative here on purpose since the norm in the United States is to own and use guns. According to BBC News, as of November 2017, Americans own 270 million guns — not including military and police weapons — that is, on average nine guns for every 10 residents. Information like this that is publicly available can become part of our conversations with teens about "camels" — frankly, how Jesus asks that we treat people, including our enemies or potential enemies. Terese Thonus is an applied linguist who serves as professor and director of the University Writing Program at the University of Baltimore. Previously, she directed the Writing Center at the University of Kansas and taught at California State University-Fresno, Southwestern Adventist College, and East Carolina University.